Jarash lies in the northwestern highlands of Jordan. In this place, a spectacular Greco-Roman provincial capital was built, largely out of stone. This stone was used for building blocks, columns, capitals, pavement stones among other uses. A visit to the site will reveal that stone was brought to the site from many sources. Remarkably, large granite columns are present, apparently brought all the way from Egypt. However, examination of the stone at the site will reveal that it mostly consists of limestone. Giver that the geology of the area is dominated by limestone, this is not surprising. Closer examination will reveal a more subtle story, however. Stone that was made into blocks weather differently than the stones used to make the columns. These stones seem to be somewhat marly and of comparatively lower quality. The columns themselves show a lot of variety as well. Some are clearly made of travertine, whereas others are made of caliche. Colors of the columns made of local limestone vary from yellow to pink and white, and with markedly different macrotextures. The immediate area surrounding Jarash doesn't contain travertine, and this was probably quarried in the Jordan Valley. Small deposits of caliche are present. The limestone in the area belongs to the Upper Cretaceous Ajloun group. This group consists of varying formations of limestone, marly limestone and marl. Farther up the section, the Belqa Group crops out. Of interest is the Wadi Um Ghudran formation, which might have served as a source for building stone. 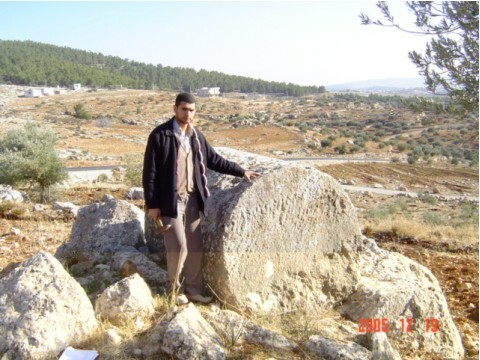 Otoum (2003) in a Master of Arts thesis at the University of Jordan described briefly a number of sites where the archaeological evidence points to the extraction of stone. It is not clear from the thesis the geological source of the stone at these sites, and it is possible that sites mentioned by Otoum were not exhaustive, requiring a more sophisticated remote sensing approach. Therefore, areal photographs will be studied to delineate the major stone extraction sites in the region as well as any related infrastructure that might be preserved. 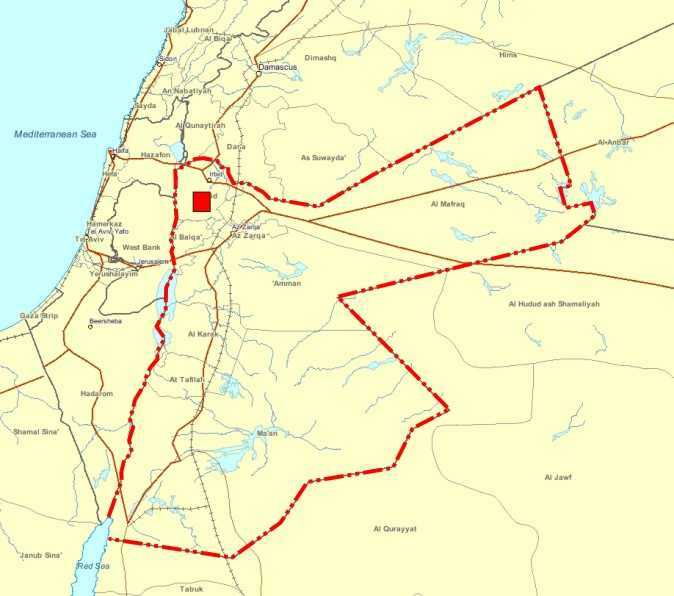 After the sited are visited and categorized, the more important ones will be mapped in detail. The stratigraphy of the site will be described, and a detailed study of the characteristics of the stone from mechanical and macro and microtextural aspects will be conducted. Isotope studies might be used to differentiate stones from different formations. These studies will be later used to identify the various sources of stone used in the city of Jarash (ancient Gerasa). 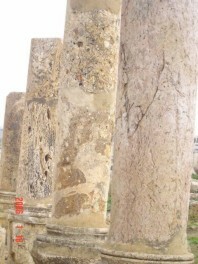 Limestone columns in Jerasa. Photo by Yarmouk University. Nearby limestone quarry with remaining unfinished column. Photo by Yarmouk University. New book: a special volume with papers from the QuarryScapes project soon printed. Second Aswan field season The second QuarryScapes fieldwork season in Aswan took place through November 2006. First symposium The first QuarryScapes symposium took place at Divan Talya hotel in Antalya (Turkey) 15-17 October 2006. Coordinator: NGU - Geological survey of Norway, Tom Heldal. Tlf: +47 73 90 40 00 . Partners. Layout: Lisa Løseth, NGU.